When you think of Europe’s emerging markets the natural reaction is to look east. However, one of the continent’s cities best placed to capitalise on new successes is actually North; way north. Located in the heart of South-East Finland, Lappeenranta is half way between the Finnish capital Helsinki and Russia’s St Petersburg. The train journey is roughly two hours from Lappeenranta west to Helsinki and the same or less east to St Petersburg. The Imatra region is located in South-East Finland, right on the Russian-Finnish border. Only in 230 km from St. Petersburg and the same distance from Helsinki puts it in an excellent position for business. Good and fast-developing means of communication between Europe and Russia become a reality in Imatra. At the flexible and efficient international border crossing point, the Imatra-Svetogorsk road and railway cross the border at the same place. Imatra’s location right on the EU-Russian border and neighbouring with Svetogorsk, add colour to everyday life. Going to work, doing shopping or just visiting over the border is a part of the region’s daily life. 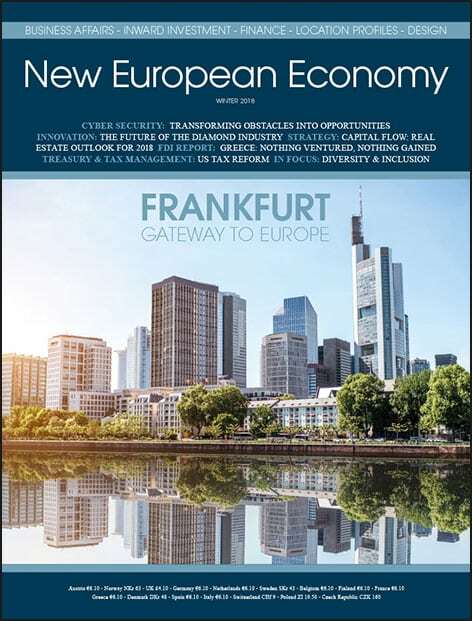 New European Economy-What is the economic outlook in your region in terms of investment for the coming year and how does it contrast with the previous 12 months? Mayor Jorma Rasinmäki The biggest investments have been and continue to be in the construction, technology, logistics and trade & services industries. Foreign visitors are up by 10%, the capital Helsinki has just been voted the world’s best place to live by an influential British magazine, and the region’s business property market is booming. With positivity across the board, it’s no wonder that Finnish consumers have responded to a recent survey by expressing resounding confidence in the economy. Wind Power is poised for unprecedented growth. By 2020, there is 15,000-20,000MW of new wind power capacity predicted for the Baltic Sea region alone. In North Europe, the figure could reach as high as 100,000MW during the next ten years.